This divided serving dish will make you want to throw a party! The repousse sterling border is a beautiful floral design and the silver is of substantial weight and thickness. 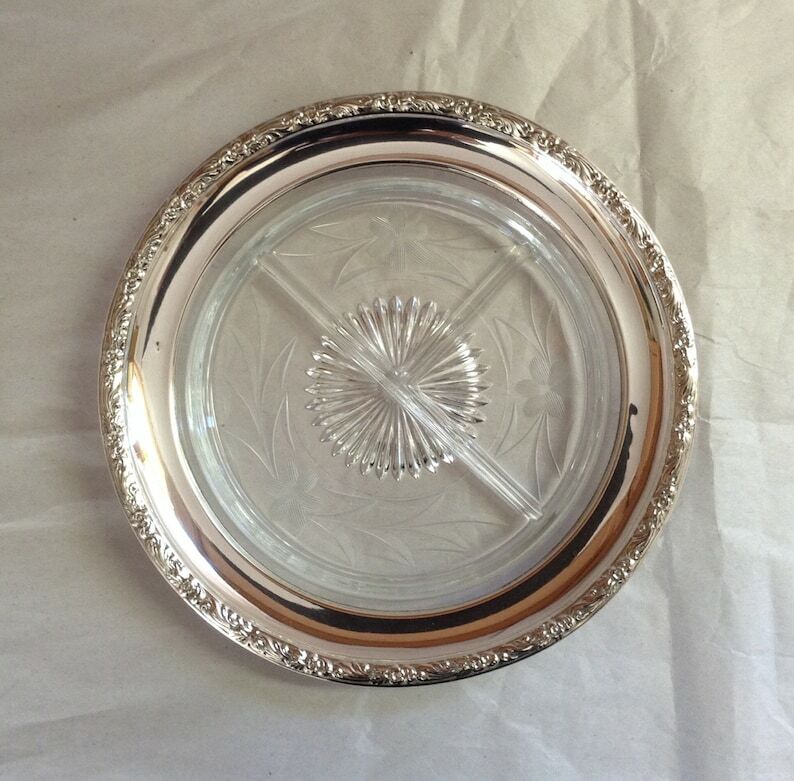 The flowers and center sunburst are cut on the underside of this heavy dish, so the plate surface itself is smooth. The rim and glass plate do not separate. The dish measures 8" in diameter and is 1 1/8" deep. There is a small ding on the rim (see photo one at about 9 o'clock) and a minute bend in the rim - one you can feel more than see - (see photo two between 6 and 7 o'clock). The glass is in excellent condition with no chips, cracks or repairs. While there is no maker's mark, I believe the piece is American-made from the STERLING signature on the underside rim (see photo four). Plate stand is not included - it used for display purposes only.